Merry Christmas from the Millennial Homemakers! This year, we’re celebrating by bringing you the Twelve Days of Christmas. 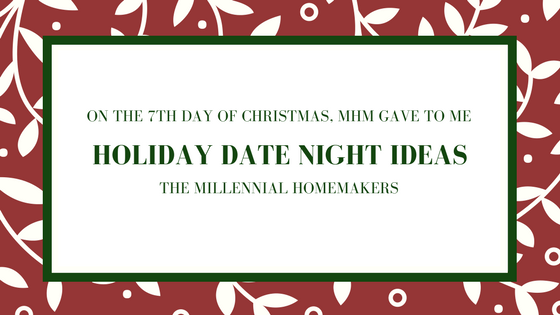 On the seventh day of Christmas, the Millennial Homemakers give to you - Holiday Date Night Ideas! We’ll share some of our favorite cold-weather activities to share with your special someone or your best friends.